This week sees two items of news from Carnival Corp & plc’s Pacific-based operations. First it has ordered new ships for each of Holland America Line and Princess Cruises. And second, Carnival Australia is now to report to Los Angeles instead of Seattle. And elsewhere under the Carnival umbrella, the Adonia returns to P&O Cruises from Fathom, and will be based in Barbados next winter. Carnival Corp & plc has just announced two new ships to be assigned to the Holland America Line Group. It has agreed with Italy’s Fincantieri to build a third 2,650-berth “Pinnacle” class ship, for Holland America Line of Seattle, and a sixth 3,600-berth “Royal Princess” class ship, for Los Angeles-based Princess Cruises. It expects to sign a firm contract for the ships in early 2017. The 99,500-ton Holland America ship will be built at Maghera for delivery in 2021 while the 145,000-ton Princess ship will be constructed at Monfalcone for delivery in 2022. 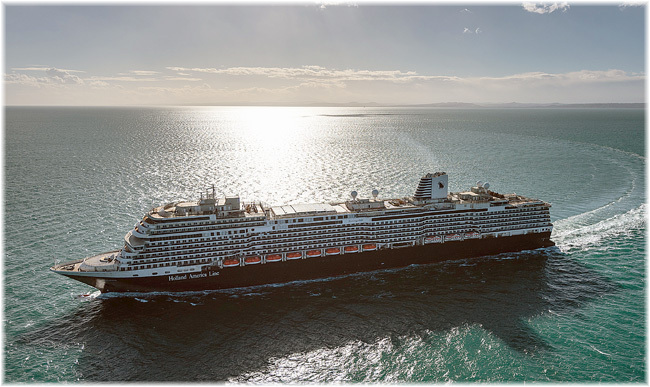 The “Pinnacle” class is a post-Panamax development of Holland America’s “Signature” class (the 2,104-berth Eurodam and Nieuw Amsterdam) and is itself a development of the “Vista” class ships, units of which sail with Carnival, Costa, Cunard and P&O. The Koningsdam was introduced last year as the first of the “Pinnacle” class ships while work is now under way on the second of the class, Nieuw Statendam. 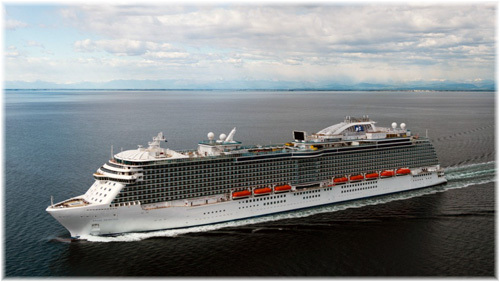 Princess Cruises’ ship has been announced as the sixth of the “Royal Princess” class. The others are Royal Princess, Regal Princess and Majestic Princess, with two more on order. A seventh ship, P&O Cruises’ 3,746-berth Britannia, was also built on the “Royal Princess” platform. P&O Cruises is now seling summer cruises on the 710-berth Adonia after she returns from her charter with Fathom at the end of May. This will involve a series of mostly 7- and 14-night summer European cruises from Southampton, starting on June 16. From October and through the winter the Adonia will be deployed on Eastern Caribbean fly-cruises from Barbados. For these cruises, P&O Cruises have contracted with Virgin Atlantic to provide flights from Heathrow and Manchester to Barbados, as well as some seats on existing flights from Gatwick. Using a scheduled carrier rather than a charter operator should provide a better level of service for Adonia passengers, depending on the type of aircraft used. Adonia makes a 20-night Transatlantic passage from Southampton to Barbados via Bermuda, Florida ports and the Virgin Islands on October 14. In an internal reorganisation at a global level, Jan Swartz has now been named group president of both Princess Cruises and Carnival Australia. The group president’s role will keep the focus on regional strategy. There is no change to Carnival Australia’s structure. Ann Sherry remains executive chairman of Carnival Australia while Sture Myrmell remains president of P&O Cruises Australia. Instead of reporting to Holland America Group ceo Stein Kruse, Sherry and Myrmell will now report directly to Swartz, who in turn reports to Kruse in Seattle. Carnival Australia accounts for more than 70% of the 833,348 Australians who took a cruise holiday in 2013, the eleventh consecutive year of 20% average annual growth. Its brands include the Australia-based ships of Carnival Cruise Line, P&O Cruises Australia and Princess Cruises as well as four more Carnival brands, Cunard Line, Holland America Line, P&O Cruises UK and Seabourn, all of which also call in Australia. 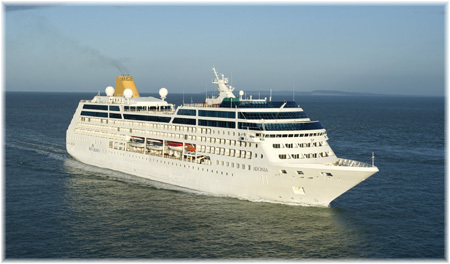 Until just a few years ago Carnival Australia reported to Carnival UK, and before that to P&O Cruises in the UK. Meanwhile, the six ships of P&O Cruises Australia are all registered in London, now comprise the largest fleet of cruise ships under the British flag. All of P&O’s UK-based fleet except Britannia are registered in Bermuda.